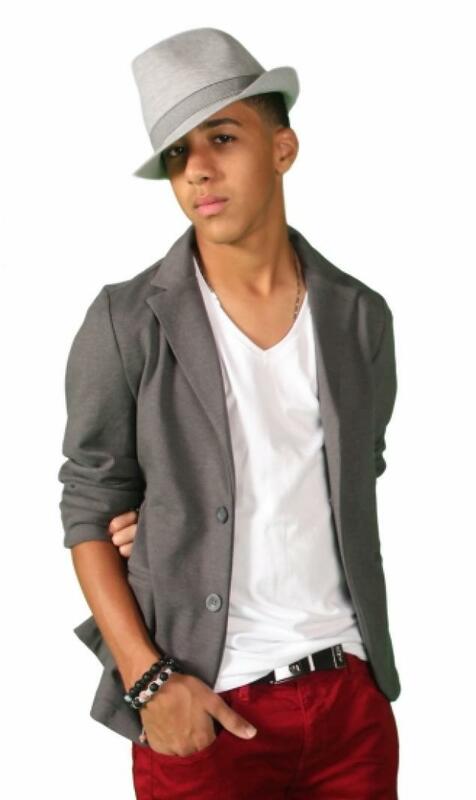 The 14-year-old Puerto Rican singing sensation has had a successful run with his first seven Spanish hit records and now aims to take the English market by storm, as Zayda Rivera reports in this article for The Daily News. Move over, Justin Bieber – Miguelito is all grown up and ready to become the next big teen idol. Okay, he’s still only 14. But Miguelito, who became a singing sensation in his native Puerto Rico at just 7 years old, is currently preparing to release his eighth album, “Here To Stay” – his first English-language CD. “The new project is really different so fans will be amazed,” he says. Miguelito proved he had swag even as a baby-face youngster. He’s the youngest person to win a Latin Grammy – at the tender age of nine- for Best Latin Children’s Album in 2008. “When I started singing, one of my first goals was to win a Grammy,” says Miguelito, whose real name is Miguel A. Valenzuela Morales. And he’s not just a singer, he’s also a businessman. Miguelito has launched a clothing line, Heir, as well as branded his name for hair gel products and even kids’ vitamins. “Right now it’s all about the music and I want to be the best artist that I can be,” he said. One experience of a lifetime he’s looking forward to is being part of the Puerto Rican Day Parade on Sunday (Miguelito is set to ride on a Daily News float). “I’m going to be there in New York City representing my flag,” he says. While he’s accomplished a lot for his age, Miguelito realizes the dangers that can come with getting too much, too soon. But the performer/entrepreneur says his family constantly reminds him of what’s really important in life. “My parents always tell me to be grounded, and that’s the most important thing for an artist,” says Miguelito, whose mother is Puerto Rican and father is Dominican.